In the aftermath of the recent Tennessee floods, the Federal Emergency Management Agency (FEMA) and the Tennessee Emergency Management Agency (TEMA) teamed up to put Facebook to the task of assisting in the disaster recovery, announcing, "an online hub for collaborative information-sharing through Facebook for the response and recovery to severe weather and flooding in Tennessee." TNDisasterInfo on Facebook hosts an online community where those affected by the disaster and those active in the response can share information. FEMA and TEMA, as well as their federal, state, and local and voluntary agency partners are posting recovery tips and updates, including shelter locations and details on how to access disaster assistance. FEMA and TEMA will also upload videos and photos from the affected area. 1. "Official" social media accounts created by governmental agencies can become a leading hub for sharing critical information. 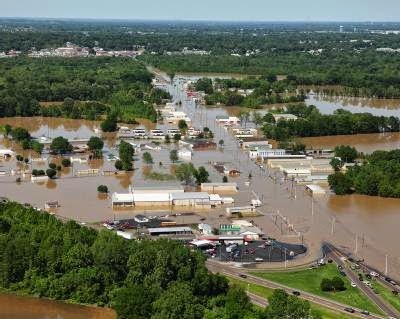 As was done by FEMA and TEMA following the Tennessee floods, social media can be harnessed by governmental agencies to create a hub for sharing critical information. Victims and those interested in helping them, are eager to find reliable sources of information, especially where they can share their own information or requests. Social networks have become the primary forum for sharing information. "Official" accounts give governmental agencies a chance to better participate in the online conversations taking place. Over 2,000 people became friends of the FEMA/TEMA Tennesseee Facebook site, with many more visiting. 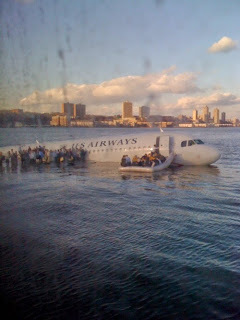 Everyone is familiar with the iconic photograph of the airliner downed in the Hudson. 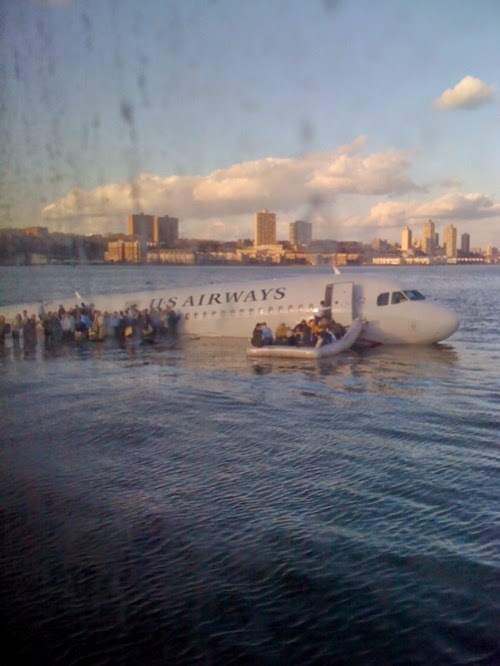 Few realize that the first and likely most-viewed photograph of the downed plane was not taken by Pulitzer prize-winning photographer from a major news network, but a guy on Twitter, @jkrums, who took the the photograph with his cell phone, then uploaded the picture to Twitter, where it quickly crossed the globe, shared by social network users eager to pass on viral content. More recently, following the devastating earthquake in Haiti, this year, the Nielson rating company reported that Twitter became the primary source for information and buzz about the Hait earthquake. Back in 2007, Twitterati Robert Scoble pointed out that Twitters beat the United States Geological Survey’s (USGS) Earthquake Hazards Program by several minutes in reporting news of the earthquake in Mexico. Today, the USGS is developing a system, "Twitter Earthquake Detection" (TED), to integrate Twitter's success in providing first reports of earthquakes. In April of 2010, when a Tornado struck an Arkansas community, it was Twitter that once again outpaced traditional media in the flow of information. Very simply, any traditional news outlet or relief agency just can't compete with a worldwide army of citizen journalists who never sleep! These citizen journalists are everywhere and will be on the scene when a disaster strikes. They will have the best first-hand information and pass on critical information to those who know how to listen. Community leaders who understand the prowess of social media can also be expected to play a role far greater than they ever have by their direct assess to social networks. In the aftermath of Katrina, needs went unanswered for too long. While bottled water began to stockpile, baby food was in short supply. Disaster victims can use social media disaster-recovery sites to inform disaster responders to real needs, not imagined ones. Relief agencies, for their part, can use social networks to keep updated victims on supply deliveries, information on when utilities or other essential services will be restored. Social networks are ideal for dynamic information sharing. On the Tennessee Facebook set up in the aftermath of the most recent flooding, FEMA and TEMA also included videos showing the recovery efforts and showcasing the volunteers. Updates on the recovery efforts are important not only to the victims and their families, but to volunteers and relief workers who are asked to accomplish daunting tasks under the most trying conditions. Social network pages set up by official disaster response agencies can help eliminate the guesswork as to where victims should go to file claims. They can be used to include required forms that can downloaded and brought to the sites to quicken the processing of claims. Updating assistance center locations and hours is also helpful. A constant in most disasters is the need for volunteers. Social media, by its sheers and viral nature, can be used to enlist volunteers for a variety of tasks. It can also provide the information voluteers need to safely and efficiently serve. Photos and videos of the work of volunteers can be used to inspire those volunteering their talents, as well as others who might be interested in helping too. It's also a great way to let volunteers know that their work is appreciated. On the Tennessee site, visitors to the Facebook page made it a point to share words of thanks to the workers. 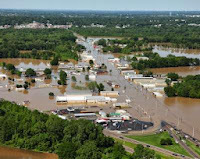 Inexplicably, major media gave short shrift to news concerning the most recent, devastating floods in Tennessee, leaving many residents bewildered and without critical information when it was needed most. Many messages on Twitter reflected this gap in news coverage, with network users complaining that the only consistent and current news they were getting on the flooding was from Twitter. When the attention of major news outlets is elsewhere, social networks can fill the breach with real-time information. During the height of the Iran election protests, major media found itself banned by the Iranian government from going to the areas of the country where massive protests were taking place. Major media responded, at first, by largely ignoring the crisis, until the social network users created such a din about the lack of traditional media coverage that the networks ultimately responded by sharing the news pouring out of the forbidden zones through social networks, largely Twitter. It became next to impossible to watch either CNN or Fox news for more than a brief period without hearing "Twitter" updates being mentioned several times. "Hah, gottcha! What about the Twitter 'fail whale' and all the spam accounts?!" Ah, the dreaded "fail whale." Actually, the "fail whale" icon, used by Twitter to let its users know that the network is experiencing a problem, does appear more often than users would like to see it, but its appearance is generally pretty brief, usually a matter of seconds or minutes at most. Additionally, regular users of social media also develop a base of trusted users. How trustworthy can user-generated content really be though? How trustworthy is Wikipedia? Ask Britannica. "What about spreading news 'far, wide, and quickly?" If relief agencies take the time to really engage in social media, i.e., share information, follow others, comment, retweet links from other users, etc., they will develop a network that they will be able to trust and that will trust them in return. The benefit? If a disaster were to occur, they could target critical information around the world. How? An example, if Twitter user @GlenGilmore were to have information that was important to disseminate, he would know that he could turn to his network of Twitter users, send a message with a request that it be "retweeted" (shared by them to their own networks) and also DM them (direct message; a private message) power user (those with large networks of followers who are generally responsive) with an urgent message asking that they share a particular message. With a trusted network of Twitter friends, @GlenGilmore knows that he can DM a core of social media influencers (users with high and responsive followings) and have an important message sent to over a million Twitter accounts within minutes. An important message could even be targeted geographically. He could send it to a large base of power communicators in France via @JeanLucr, another base of users in California via Zaibatsu, another base in India via @ParmitJNathan, Malaysia via @AskAaronLee, etc. Now the is undoubtedly an overlap of users and where a social media communicator is geographically based may not fully reflect the breadth of the communicator's base, but one could reasonably conclude that a significant core of followers will have a geographic connection to the communicator. Geographic targeting could also be gauged by the sort of content regularly shared by the communicator. The end result of such targeted messaging is that a power communicator in the social media sphere can pretty confidently get a message delivered to over a million other accounts worldwide simply by asking the key communicators within his or her own trusted circle of users. "I can already see the benefits. The audience that I engage with there are the group hardest to get with the preparedness message. Upward mobile, professionals between ages 30 – 45 are busy with their career, dating, family, mortgages, etc. " To the point, Saunders, aka, @CRCSaunders on Twitter, wrote: "social media tools, such as Twitter, are generally proving to be important tools for disaster preparedness and awareness." He explained: "If you get enough of the right kind of followers, then your preparedness message will get out there more than any fridge magnet could." Agreeing on the importance of social media in disaster preparedness, Christopher Juckins, a meteorologist and technology programmer at the National Hurricane Center in Miami-Dade County, noted in a recent Sun Sentinal article about the important role social media is likely to play in the upcoming hurricane season in Florida region, that, "Social media is a very important tool for getting our message to customers who might not otherwise look for our information." Nonetheless, while it appears that the Center is planning to start a Facebook page by June, it is, according to the Sun, "steering clear of Twitter because the 140-character limit is not enough space to provide enough information." This is an odd decision given the common use of links by Twitter users to convey extensive information in the form of a single tweet. Twitter hash tags are a method used by Twitterers to identify topics of interest. During a crisis, they are used as a way of letting the social media network quickly identify the latest news on the disaster. Following the Chile earthquake, Twitter hash tags helped one person another who was missing. To identify particularly reliable sources of information during a crisis, the traditional news networks have been quick to use Twitter Lists to identify their best sources of information. When the earthquake struck Haiti, the two, major U.S. television news networks, Fox News and CNN, both turned to Twitter for information about what was taking place in Haiti in real-time after the earthquate. In November of 2009, Twitter announced the activation of geotagging, a service that allowed network users to share their location on the network, i.e., the location from where they are tweeting. Geotagging is an option users must enable to activate. The location-based information is available to third-party developers who are already putting the location-based information to use. To date, only a small percentage of Twitter users have enabled the geotagging activation. Nonetheless, the ability to include geotagging in one's tweets is an option that user's could be encouraged to be activate were they to find themselves in a disaster zone. This would allow rescuers to pinpoint with precision the location of users sending out requests for help. This is also the very sort of scenario and option emergency responders should be considering as part of their responsibility to educate the public in advance of a disaster. 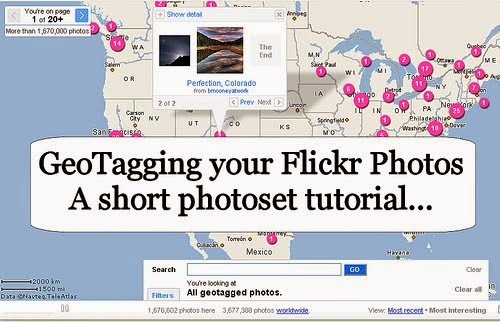 Sites like flickr also already allow shared content, in this case photos, to be geotagged. Social network giant Facebook is also expected to join the geotagging trend. Please share your own suggestions, stories, or links on using social media in crisis preparedness or response in Comments. Thank you! Also, please follow me at my primary Twitter account, @GlenGilmore, and at my account secondary where I tweet about social media best practices in disaster preparedness and response: @CrisisSocMedia. Great post! Sadly, I am sure #11 would be geotagging oil sightings along the Gulf Coast. Great post. Yesterday I wrote about how social media helps in recovery process. Interestingly, most of the items have nothing to do with government and everything to do with people helping themselves or their neighbors--both near and far. Social Media Marketing can be an important weapon in the arsenal of media company when it comes to facing times of moral crisis. Thanks, Great! Well thought-out review. Using business process solutions it is the best way to receive mobile apps development. It's well done posts. Let me mention about homeowners insurance cost that are from homeowners protection providers. Compare free online rates on homeowners insurance. Thanks for sharing this post. Get informed about best offer from party poker affiliate program which you can compare with your gambling partner. They will have the free instagram followers trial best first-hand information and pass on critical information to those who know how to listen. Twitter to the Rescue - Social Media's Evolving Get YouTube Views Role in Disasters" that's received a fair amount of attention and comment. Companies can also use Instagram pictures for their brand marketing.auto instagram likes for your brand marketing..must try this for your business.